The best place to get carpets & flooring for your French home! YOU CONTACT US - WE COME TO YOU - JOB DONE! 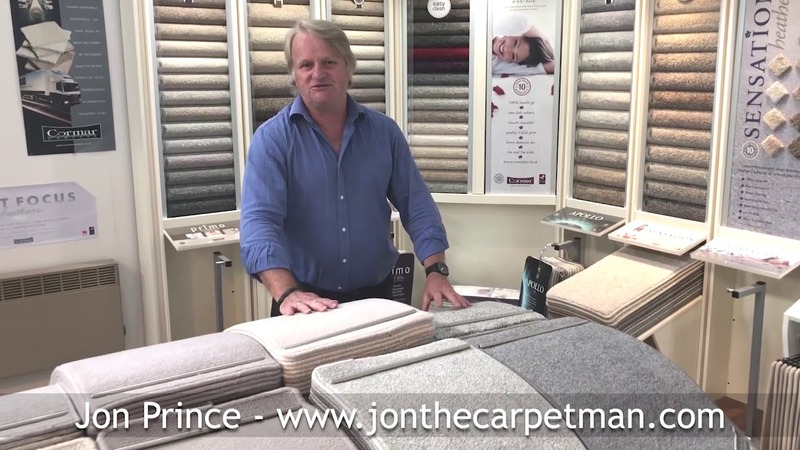 Why do you need Jon the Carpet Man? However much we intergrate into the French lifestyle, there will always remain some differences and the (mainly) British desire for carpets fitted in the traditional method, over a good underlay and stretched onto gripperods remains one of them! This system is recognised as the best for both overall comfort and for maximising the lifespan of your carpets. While this is easy to organize in the UK, it's so not simple over here in France. There is much less carpet fitted in French homes, hence much less choice for the consumer. What there is tends to be much more expensive than the comparable UK equivalent. It is difficult to find somewhere that allows you to borrow samples and take them home. Delivery and fitting charges are very high. Often the language barrier is a problem.